I sent a friend of mine to the bus depot this morning and saw that the sunrise was going to be great. This entry was posted in KL, photography. Bookmark the permalink. ← While playing Star war:Forced Unleashed. AMAZAING, AMAZING SHOT!!! 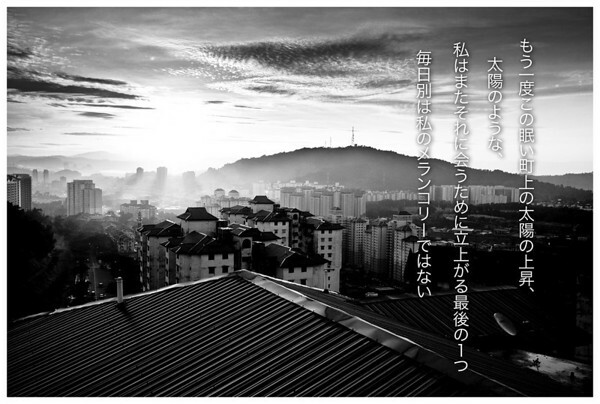 turning to b/w is a stroke of genius… but the japanese words… keep it small la. maybe fill the black area on the bottom right.